The Secret Word is "onomatopoeia!" 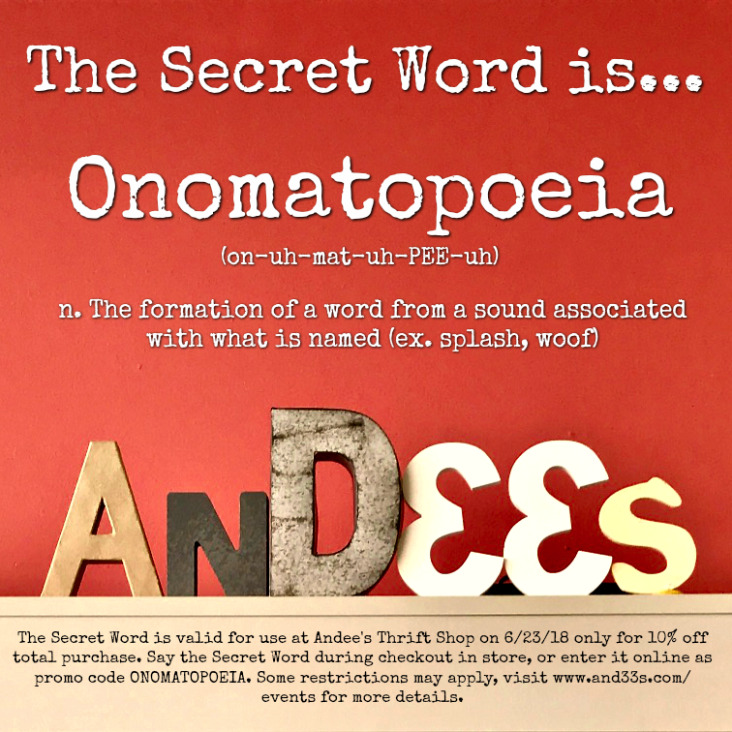 Say it during check out in store, or enter it online as promo code ONOMATOPOEIA for 10% off your entire purchase. BOOM!